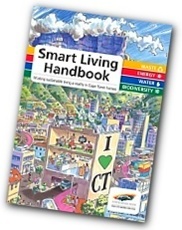 The Smart Living Handbook is a very successful publication of the City of Cape Town used for training and awareness around sustainable living. The handbook addresses issues of waste, water, energy and biodiversity, considering key challenges and offering lots of practical advice for what you can do to move towards sustainability. This handbook required an update to ensure that it is in line with current trends and legislation, so the icologie team got stuck into this task. 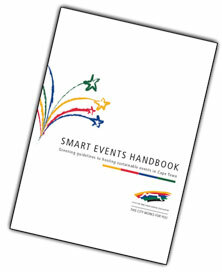 icologie developed the Smart Events Handbook for the City of Cape Town and this handbook goes hand in hand with the Smart Living Handbook. We are also developing the Smart Office Handbook for the City of Cape Town with the help of a number of corporate sponsors. To take a look at the City’s Web site click here or click on the books below to download the english versions. We hope you have as much fun reading them as we did writing and updating them.